India's large and diverse population warrants an efficient health care infrastructure that should be accessible to all strata's of society. Good quality health care should not be a privilege of the elite only. Since we set up Metro Hospitals in 1997, my vision and endeavor has been to bring state-of-the-art health care to the masses of India. In order to achieve this, we at Metro Group of Hospitals, are committed to providing advanced medical care at a minimum possible cost. Our focus has always been on the patients of the lower and middle sections of society, patients who are rejected by the large corporate hospitals, patients who cannot afford expensive medical care and patients who deserve empathy. I believe that medicine is a noble profession and sick must not be rejected on monetary grounds. Metro Hospitals is committed to providing world class health care services at the most affordable cost, irrespective of the literate or illiterate, cost, creed or social status and beliefs followed by one and all, with complete dedication alike. 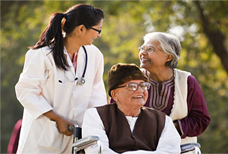 Our vision is to achieve excellence in Medicare through our hard work and humane touch. Our immediate agenda is to set up more such dedicated centres for providing wholesome treatment to the patients all over the country. We are committed to continually serve humanity at every needful hour with our state of the art facilities and world's best professionals. Motivated by the immense faith that our patients have put in us, we stand by our principles and policies and will pursue the same with full dedication in future as well. Metro Center for Respiratory Diseases is a unit of Metro Group of Hospitals & Heart Institute, which are already recognized centers of excellence in India, providing international standards of patient care at most affordable cost. Keeping in mind the commitment to provide super specialty care in non cardiac areas too, Dr. Purshotarn Lal, Chairman Metro Group of Hospitals established this 35 bed centrally air conditioned respiratory unit with most advanced facilities for diagnosis as well as treatment of respiratory & allied diseases under Chairmanship of renowned Dr. Deepak Talwar, Senior Consultant in Pulmonary, Sleep & Critical Care, the country's first DM in Pulmonary Medicine & fellow American Collage of Chest Physicians with vast experience of handling respiratory & critical care cases for more than 20 years in India and abroad. Success of this unit in Noida led to development of branches of this at Faridabad, Delhi & Merritt. The center provide out-door patient care services daily including Sundays from morning till evening. Patient education and counseling is done by experts and qualified staff. Breathe Easy, Sleep Disorders, Asthma & Allergy and Pulmonary Rehabilitation Clinics are a regular feature. Patient is completely investigated and managed in a single visit to facilitate management of respiratory cases which come to this visit from ani over North India. Day Care facilities are extended at nominal cost to patients requiring short term diagnostic or treatment stay. Nebulization, Chemotherapy and minor procedures like pleural aspirations are done here. Patients are observed and stabilized by specialized staff with monitoring facilities. Pulmonary function test lab is equipped with Morgan's Transflow , System and besides routine Spirometry, Lung Volumes and Diffusion Studies, Cardio- Pulmonary Exercise Testing as well as Pre-operative evaluations are being done routinely. First Sleep Lab of Noida & East Delhi is doing Polysomnographies both for Diagnostic as well as Titration purposes, Patients with Obstructive Sleep Apnoea, Obesity-Hypo ventilation Syndrome, disorders of excessive snoring & day time sleepiness and other sleep related diseases are studied here. Video Bronchoscopy Lab is equipped with advanced Fujinon (6.3mm) video bronchoscope and used for both diagnostic as well as therapeutic purposes. Diagnosis & Management of non resolving radiological shadows, unexplained respiratory symptoms, foreign body inhalation, hemoptysis and tracheal diseases are managed here. All preventive respiratory vaccines are given wherever needed along with Dietary & Environmental Control advice, counseling & educative sessions in preventing respiratory illnesses. Pulmonary rehabilitation unit offers multi modality approach to help chronic respiratory cripples live independently. It also offers graduated respiratory muscle training to advanced COPD and respiratory failure patients. Yoga and meditation sessions are given on regular basis. Respiratory Intensive Care Unit is an advanced critical care unit providing invasive as well as non-invasive ventilation with non- invasive as well as invasive monitoring (CVP,PAP,PAWP and intra arterial BP). Unit is equipped, with BIPAP's CPAP's, Seimen's 300 and 900C ventilators and HP monitors. Expert Staff & Doctors look after patients round the clock. Four-bed High Dependency Unit is for step down care of RICU patients and non- invasive ventilated case. Unit 15 equipped with monitoring and other facilities to look after recovering RICU patients. All pulmonary interventions- bronchoscopic & non-bronchoscopic are done e.g. endobronchial balloon temponade for hemoptysis, electro cautery, bronchial artery embolization, bronchoplasty, bronchial stenting and intrapleural small bore catheter based interventions. Also medical pleuroscopy and throacoscopy for treatment of empyema, malignant effusion, BP fistulas and US guided drainage procedure of chest are done in the unit routinely. There is dedicated portable USG machine in RICU. Excellent laboratory, Biochmemistry, Pathology, Immunology, Microbiology, and Blood Bank Services are available round the clock. Expert specialties in other medical fields are also available.